A Canadian man's license plate can forget about living long and prospering. After receiving multiple complaints, Manitoba resident Nick Troller was forced to hand over his license plate that read "ASIMIL8," a reference to the Borg from Star Trek, who assimilate other societies into their own by force. 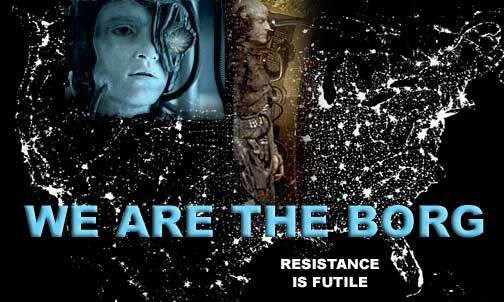 The phrases "we are the Borg" and "resistance is futile" are printed on the license plate's frame. Unfortunately for Troller, the MPI's decision is not something that can be appealed, so resistance is indeed futile.